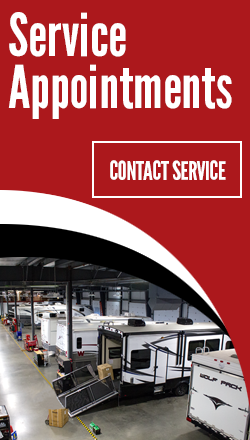 General RV's award-winning service centers are equipped to service all makes and models of motorized and towable RVs. We operate more than 500 state-of-the-art service bays at our 13 locations nationwide. Our technicians are highly-trained and RVIA-certified. Whether your RV requires regular maintenance or emergency repairs, our management teams are ready to assist you. 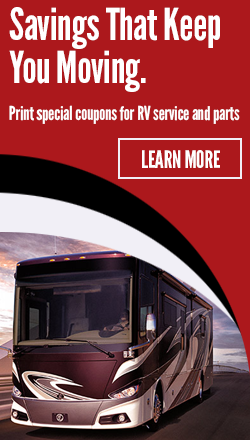 Let us show you the benefits of joining the General RV family! 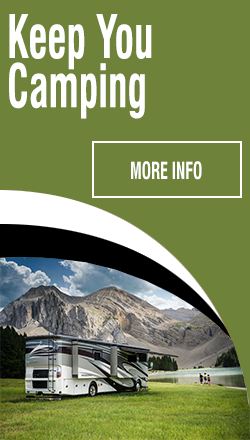 As a thank you for purchasing from General RV, we are offering same day check out for any of the Camping Critical Issues listed on the next page. This means your RV will spend more time on the road and less time in the shop. From routine inspections to winterization, we feature service specials year-round. Save money on appliances, slide inspection, water proofing and more at one of our 13 nationwide locations. Clip your coupons or present them on your mobile phone! 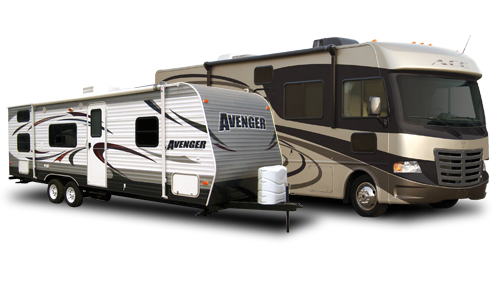 General RV services all makes and models of RV. We also have full service facilities for virtually any type of manufacturer warranty work. Check out our full list of services.